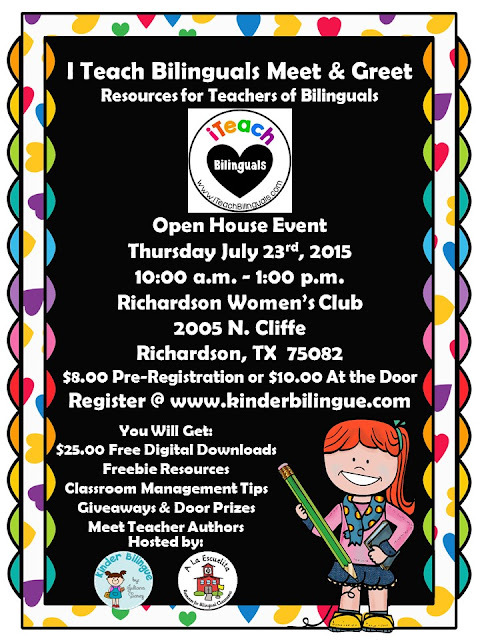 10:00 a.m. till 1:00 p.m.
A La Escuelita and Kinder Bilingue will be hosting our first iTeach Bilinguals Meet & Greet! This is a great opportunity for you to meet us, meet other bilingual teachers from the DFW area, and check out our work! We will also have door prizes, giveaways and free resources for your classroom from very successful and dedicated teachers at iTeach Bilinguals. For more details and to register, click here to register for this great event! Get my Dental Unit for FREE!